Lash extensions are a beauty service that I probably would’ve never even tried had it not been for my new friend and up-and-coming esthetician Jennifer. The concept of paying someone a lot of money to apply tiny pieces of hair to one’s lashes seemed like an excessive expense at first. However, because Jennifer needed a real life model to practice on, I happily volunteered my time to this worthy cause. 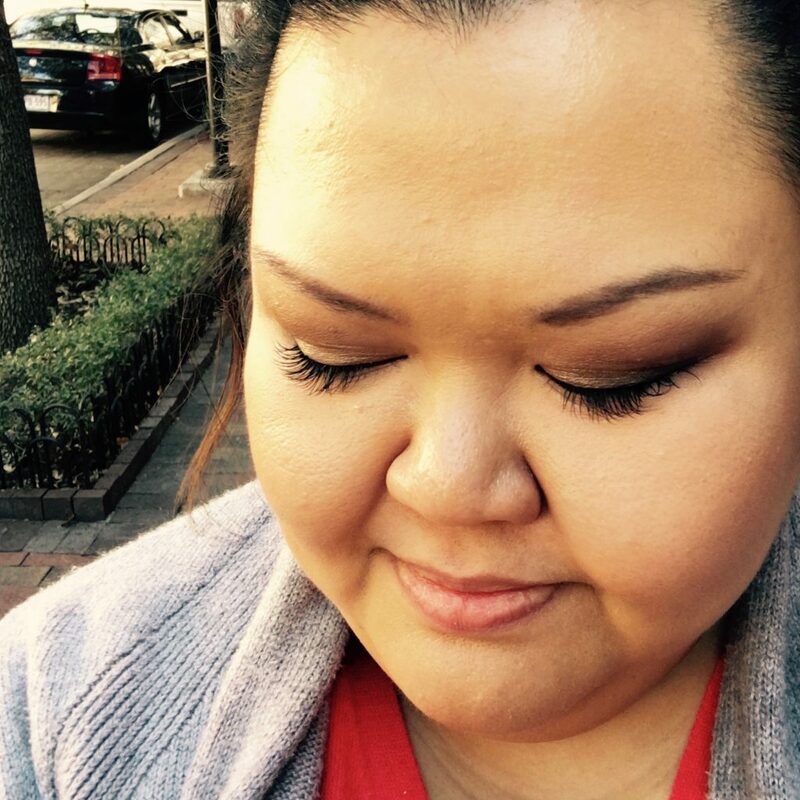 Here’s my experience getting lash extensions for the first time, but first a little bit more info about the process. 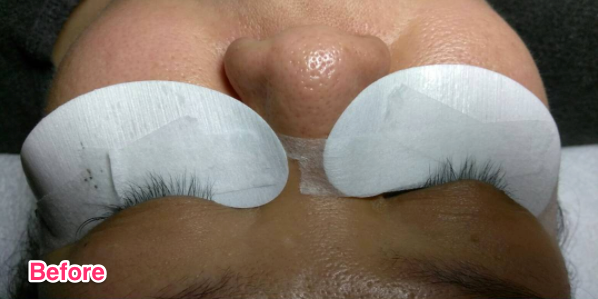 If you’re not familiar with the process of lash extensions, it’s a bit long and laborious. Depending on how many individual lash applications your technician promises per eye, it can take anywhere from 1.5 hours to 3. During this process, the technician covers up and tapes down your lower lashes to prevent them from interfering with the procedure. This pad also serves as the perfect canvas for your technician to work his or her lash magic. The technician begins by cleansing your natural lashes thoroughly and then applies a primer. He or she then selects the perfect lash on which to apply the extension. Once they’ve identified one, each individual lash extension is then dipped in a special bonding glue and applied to the natural lash. This process repeated as many times until the desired lash look is achieved. And me, what about my experience? Like I mentioned before, the process is long and laborious, at least for the application of a full set. And if you’re like me, someone who has short, thin, unruly, wonky eyelashes that tend to have a mind of their own, it may be more of a challenge. Thankfully, my esthetician is very professional and will ask for feedback not only to provide a better experience for her client, but to improve in her craft. She checked on me throughout the procedure, asking if I was comfortable or if I needed anything. We would occasionally take breaks so that I could stretch my back (the table at her school was so uncomfortable). The before and after difference was striking though. Photos courtesy of Jennifer Connor (Instagram: @ladyj1976). Jennifer used mink lashes with a thickness of .2 (later we would decide this was too thick for my personal preference, so we switched to .15 during my first fill). The length varied between 8mm and 12mm. It took a while to grow accustomed to the weight of the lashes. They were heavy compared to my natural lashes, and much more stiff. I couldn’t get them wet for the first 24 hours and even after the waiting period, I had to be extra gentle with them. I had to cleanse them gently once a day, and then gently pat them dry. Clearly gentle was the keyword. Doing my eye makeup was also a bit of a chore. The extra length made lining my upper lashes a bit difficult. Eye pencil was more forgiving, but pen liner or even gel liner? Forget it. 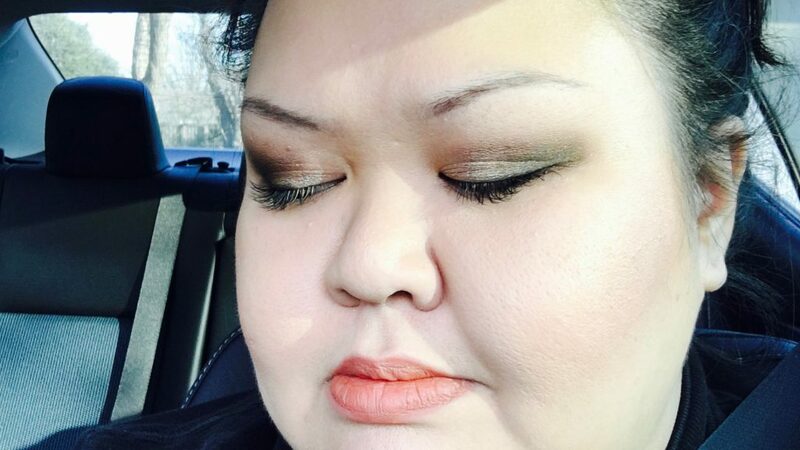 When I had to line my upper lid, my newly lengthened lashes were always in my way. Application was shaky, inconsistent, and uneven. I had to cover it up with pencil or dark eyeshadow the first couple times. But still look at what a difference they make! Just like anything else in life and beauty enhancement services, lash extensions don’t last forever. So to maintain your look, you’re going to have to get lash extensions after your first set. I received my first lash extension fill about 2 weeks after the initial application. My left eye was looking a little bare primarily because that’s the side I most often sleep on. The process was shorter than a full set since Jennifer really only had to apply lash extensions where necessary. Still, she ended up having to do more of a 3 week fill because of my left eye. This time around, I’m going to try using a contoured sleep mask to help reduce the sleep wear. This particular sleep mask has a deep eye cavity that provides room for your lashes and reduce pressure on the eyes. It’s made out of soft, foamy material so it doesn’t feel like you’re wearing safety goggles to sleep. In the end, lash extensions look great especially in anticipation of a special occasion. I’ll certainly maintain them for as long as I can. But I think I’ll probably have them removed after a couple more refills to give my natural lashes time to recuperate. Next experiment will probably be some healthy lash treatments for my natural lashes. That way they’ll be in better shape for my next set. I feel like they are pretty stressful on natural lashes, especially if you’re like me and have thin, short lashes. If you’re interested in lash extensions and live in the north Dallas/Richardson/Garland area, Jennifer is amazing to work with. She offers personalized service with a friendly and relaxing atmosphere. Not only does she offer lash extensions, but she also offers skin care services such as diamond microderm, enzyme peels, and more. Comment below and I’d be happy to give you her contact info!